PUBG is the most popular Multiplayer Online Battle Arena (MOBA) game. PUBG Stands for PlayerUnknown’s Battlegrounds which means unknown players fight in a battle royal mode. The players may either fight as a solo member or in a small group with the winner being the last man alive. The success of the game led to the development of many other similar battle royale games one popularly being Fortnite BR. The game is free to download from Google Play Store for Android. 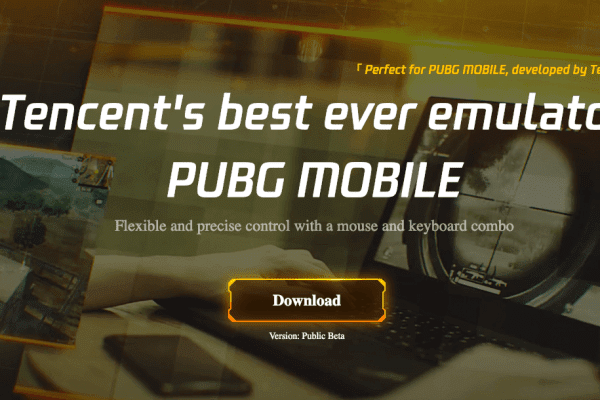 Gaming Buddy by Tencent for Windows who are also the developers of PUBG created the emulator specifically catered towards the game. The Gaming Buddy is able to handle the PUBG mobile and is well optimised to run even on low-end Windows PC. Though there is a PC version of PUBG, it is paid therefore an emulator is a very good option to play the game for free. 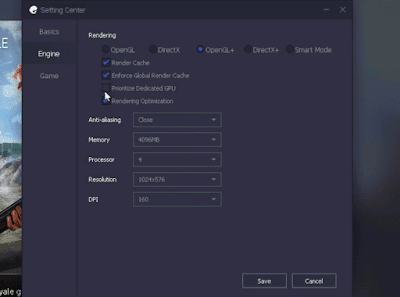 Today in this post I will talk about all the possible solutions to fix errors, crashes, lags and loading issues on the Tencent Gaming Buddy for Windows 7/8/10. Here are the best fixes for Tencent gaming buddy errors, loading & installing issues, crashes and more. The gaming buddy uses available resources on the PC to run. As different systems have different hardware and software specs a particular setting may not be helpful for the smooth and clutter-free running of TGB on the PC. Here are the best settings for Lag-Free gameplay. 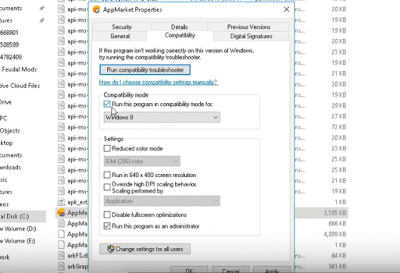 I am giving the best optimisation settings for Windows 10 but you make changes accordingly to your system based on specifications. Here are the best setting to Fix Lag or freeze Issues on Tencent gaming buddy. 1. Right Click on TBG icon and click on Open File Location. 2. Now look for the File named ‘App Market’, right click and open Properties. 3. Here click on compatibility Tab. 4. 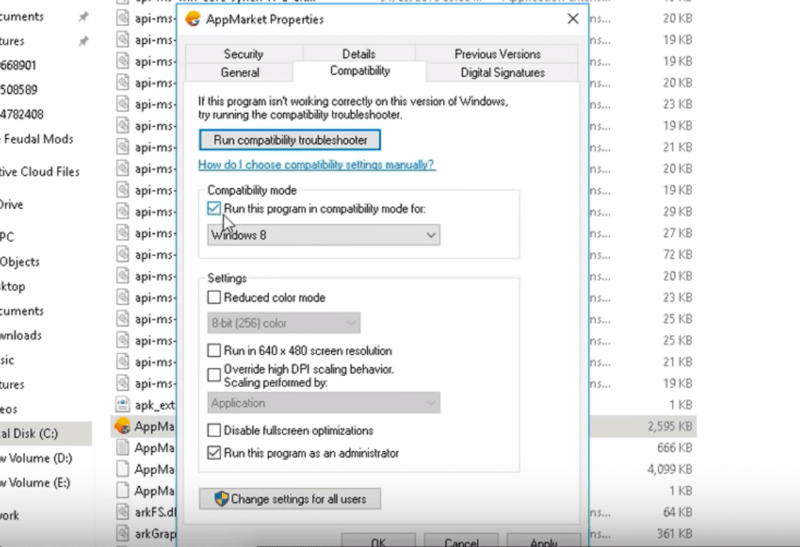 Now Under Compatibility Mode select any other lower windows version and right check on the ‘Run this program in this mode’. If you face any issues click Run Compatibility Troubleshooter and select recommended settings. 5. Also, make sure to select Run the ‘Program as Administrator‘ and hit Apply. 6. If your system is running on Windows 7 download and Install DirectX from Google Search. Win 8/10 have them pre-installed. 7. Close all the Tabs and open TBG, open settings in the TBG. 8. 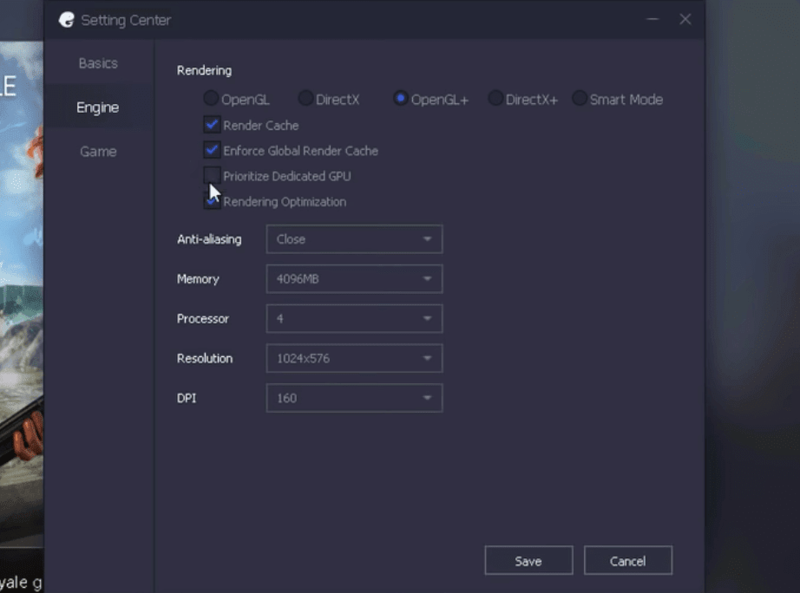 Here Click on Engine, select OpenGL if you have a good GPU and OpenGL+ if a strong graphics processor. And select DirectX for good CPU and DirectX+ if a very strong CPU. 9. Right, check all the boxes available but you have a dedicated GPU card like Nvidia and AMD you can select Priotorise Dedicated GPU. If not than uncheck that box. 10. Keep Anti-aliasing Close, set memory less than your device RAM and keep the resolution low or high based on system hardware specs. 11. Now Click on the Game Tab, set resolution HD or SD and display quality as smooth. Hit Save Button and enjoy the game clutter and lag free on your PC system.